J'ai lu cet article et je l'ai trouvé très intéressant. Cet article s'appelle European Holocaust Research Infrastructure et se trouve à cet adresse http://www.memorialdelashoah.org/en/education-training/the-ehri-project.html. The EHRI project brings together an international consortium of archives, libraries, museums and institutions devoted to remembrance and research. 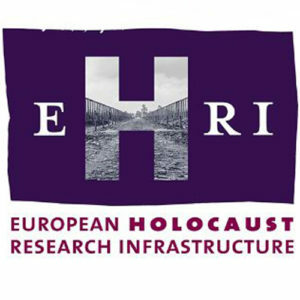 The EHRI project’s main goal is to support Holocaust research communities with an online portal giving them access to information on Holocaust-related archives and collections in Europe and beyond. Calls for grant applications will be launched every nine months. They are open to researchers (Ph.D. and post-graduate students, archivists, librarians and documentalists) from all countries working on groundbreaking comparative and transnational Holocaust projects. Projects proposed by researchers from Eastern Europe have priority. Between the end of July and the beginning of August 2017, the Shoah Memorial organized in collaboration with the Vilna Gaon State Jewish Museum in Vilnius a methodological seminar on new sources and perspectives of investigation under the title “The Nazi occupation and the extermination of the European Jews. Sources, methods and interpretation: a focus on Italy and Lithuania”. 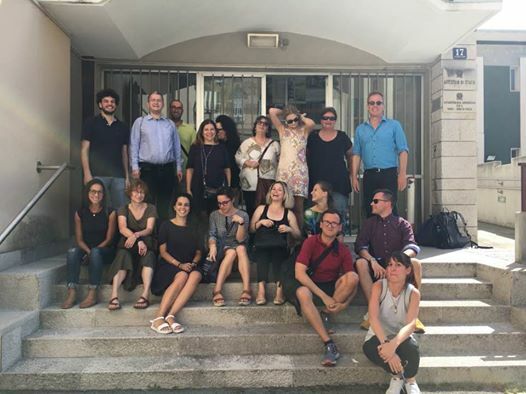 The Seminar was planned within the framework of the European Holocaust Research Infrastructure (EHRI) project, supported by the European Commission and took place at the University of Trieste, Italy. Representatives of these institutions attended and had an active part during the entire program. In addition, twelve participants from Italy, Germany, Austria, Israel, Croatia, Bosnia-Herzegovina, Denmark and Greece – with different academic backgrounds and research experiences – have been selected to join the seminar. At the very beginning I would like to point out that the Seminar was very skillfully packed and participants were carefully selected. Having that in mind, the fact that we had a lot of very profitable discussions came as no surprise. Comments and critique of professors who were with us was a unique opportunity for all the attendees to get useful pieces of advice about their research projects. What I really appreciate is our official lectures. I found them absorbing and highly productive. The first lecture about the local history was crucial in understanding all other historical processes that took part in Trieste and the region. A great majority of the participants’ presentations were also productive. There were just some of them I found less interesting as a deeper knowledge on the background to the topic was necessary. Nonetheless, the Seminar was a great occasion to deepen my knowledge on the topics I had been less familiar with. As one of the participants, I presented my own projects on how to teach the Holocaust. The feedback and fruitful critique encouraged me to experiment more in this very important field. Even more importantly, in the leisure time I got the feedback from the other participants about how they had been thought the Holocaust. The opportunity was unique as the participants were very knowledgeable in the field and at the same time very opened and honest. In that context I am really appreciative of the experience of our German attendees. It was just thanks to the organisers that this positive and friendly atmosphere prevailed amongst the participants. I attended a lot of other seminars but very rarely was it possible to establish even personal relationship with organisers in such a short time. On this occasion they went out of their way to make us feel comfortable and make the Seminar as fruitful as possible. Having that in mind efforts of Ms. Tullia Catalan and Ms. Laura Fontana should be pointed out. It goes without saying that thanks should be given to Mr. Matteo Perissinotto who seemed to be a key figure in all logistical maters.